These cupcakes are delicious. They have a rich vanilla flavor, are moist and light. They are the best vanilla cupcakes I have had. I am a chocoholic so any vanilla baked good has to be really good for me to love it and I love these. Alone or with the frosting these are irresistible and not too sweet. 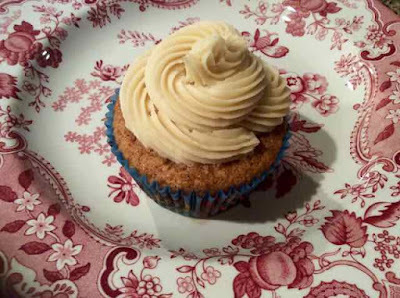 To make these cupcakes I adapted a vegan recipe into a gluten free version and used my vanilla frosting recipe. I hope you enjoy them. 1) Preheat oven to 375℉. 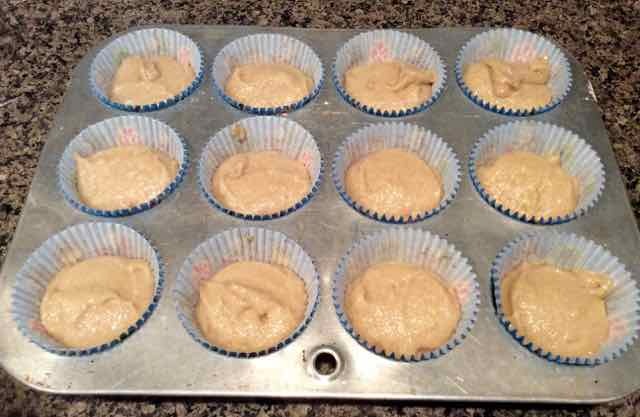 Prepare a 12 muffin pan by lining it with paper cupcake liners. 2) In a large bowl add all of the DRY ingredients and mix well. 3) In a separate bowl add all of the WET ingredients and mix together. 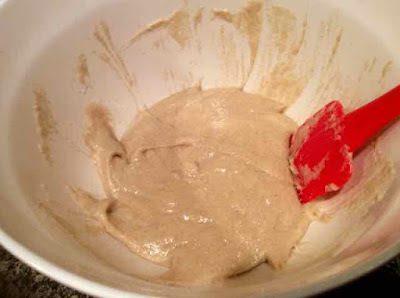 4) Pour the wet ingredients into the bowl with the dry ingredients and mix until smooth and well blended. If using a stand mixer, mix for about 2 minutes. 5) Divide the batter evenly between the 12 cups in the prepared pan. Cupcake batter divided evenly among 12 paper liners. 6) Bake for 18-20 minutes or until the tops are lightly golden. 7) Cool in pan for 5 minutes before removing the cupcakes to a rack to cool completely. 9) Add all the ingredients to the bowl of an electric mixer and mix on low until there is not more loose sugar then increase the speed to medium/high and beat until light and fluffy, about 5 minutes. 10)Fill a pastry bag fitted with a ½” diameter tip with the frosting. Or you can just spread it on with a knife. 11)When the cupcakes are completely cool, frost with the frosting. Enjoy! The inside of a cupcake. 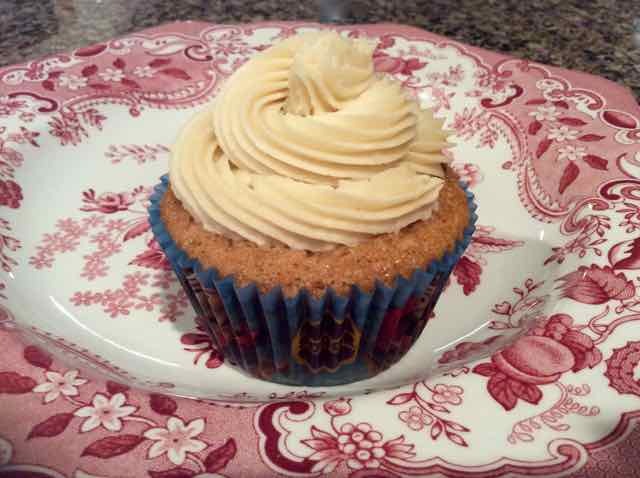 GLUTEN FREE VEGAN VANILLA CUPCAKES Makes 12 cupcakes INGREDIENTS CUPCAKES ¾ cup Sorghum Flour ¼ cup Tapioca Flour 2 Tbs. Chickpea Flour 2 Tbs. 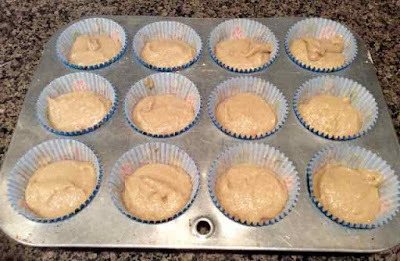 Coconut Flour ¾ cup Sugar - I used evaporate cane juice crystals ¾ tsp. Xanthan Gum 1 ½ tsp. Baking Soda ½ tsp. Sea Salt DRY ⅔ cup Non Dairy Milk of Choice - I used Almond ⅓ cup Canola or Sunflower or other light tasting Oil 2 Tbs. Apple Cider Vinegar 2 tsp. 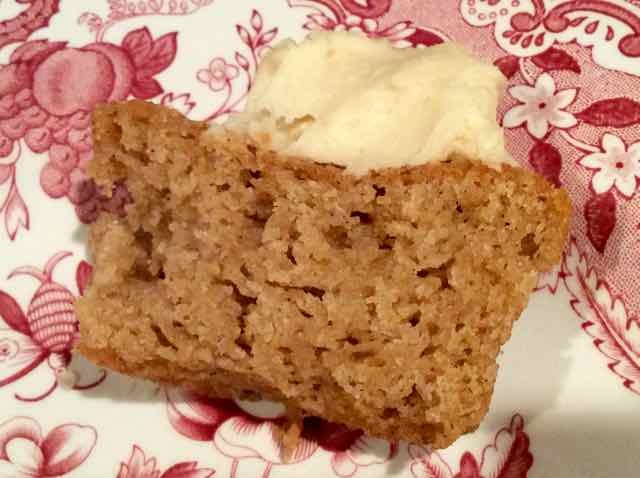 Vanilla Extract WET FROSTING 1 cup Shortening - Vegan and non hydrogenated such as Spectrum Brand 2 cups/14 oz. Confectioner’s Sugar 2 tsp. Vanilla Extract 2 Tbs. Non Dairy Milk of choice - I used Almond DIRECTIONS 1) Preheat oven to 375℉. Prepare a 12 muffin pan by lining it with paper cupcake liners. 2) In a large bowl add all of the DRY ingredients and mix well. 3) In a separate bowl add all of the WET ingredients and mix together. 4) Pour the wet ingredients into the bowl with the dry ingredients and mix until smooth and well blended. If using a stand mixer, mix for about 2 minutes. 5) Divide the batter evenly between the 12 cups in the prepared pan. 6) Bake for 18-20 minutes or until the tops are lightly golden. 7) Cook in pan for 5 minutes before removing the cupcakes to a rack to cool completely. 8) While the cupcakes are baking prepare the frosting: 9) Add all the ingredients to the bowl of an electric mixer and mix on low until there is not more loose sugar then increase the speed to medium/high and beat until light and fluffy, about 5 minutes. 10) Fill a pastry bag fitted with a ½” diameter tip with the frosting. Or you can just spread it on with a knife. 11) When the cupcakes are completely cool, frost with the frosting. Enjoy! Thank you Cherry joe for your kind comment. I hope you enjoy the cupcakes! Hi there! Do you suppose the sorghum flour could be substituted with another gf flour? Maybe almond? My family cannot tolerate grains. Thanks! I do not have much experience using almond flour, so I can’t say for sure how it will come out. I wish I could offer more helpful advice. If you do try to substitute almond for the sorghum please let me know how it works.